Do NOT Update to Basecamp 4.7.0 – MapInstall 4.2.0 is broken! If you want to support me in doing that, then please pay for a membership to help me to continue developing. Contourlines for South-America, Central-America and Africa and Asia and more – you get contourlines for all maps offered here (all except Asia as continent are integrated and simply need to be copied into the map folder). All countries and continents now available for download also in gmap/gmapi format (of course including contourlines). 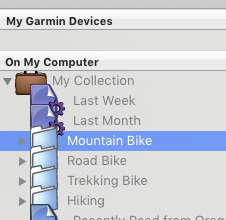 Easy installation in Garmin Basecamp for Mac. and in future (hopefully) to an online support forum and video tutorials (planned soon). Note2: if you already paid in the past / have an login and would like to extend your membership, please login, then you will see the options! After payment you get a link sent by mail which enables you to create an account on VeloMap.org. With this account you can access the premium sections/downloads and you can use the reply function on all pages, I’ll try to answer all questions. If you don’t receive an email for login within 5 minutes after sending the payment, please look into your Spam folder. 1. First year support/access to downloads for €20, then € 13 for each year. You can cancel the payment whenever you like on Paypal. (needs a credit card linked to your Paypal Account.). If you don’t cancel before the year is over, the payment will continue each year – It’s a subscription. 2. Pay for a fixed term. 20€ for 1 year, 35€ for 2 years … and so on. See the dropdown box. Sorry – thanks to the EU VATMOSS rules I cannot offer payment via simple Bank transfer for now. There is one workaround though – you can open up a Paypal Account – wire money to it, and then use it to pay (no subscriptions – one time payments only without credit card). I really dislike this situation – but cannot change it for now as otherwise my administrative burden is far too high. I’m not a fan of PayPal at all (that’s why the default gateway is Stripe) – but for now there is no better possibility if you have no credit card – or don’t want to use your credit card online. For people who do not want to pay via Paypal/Credit Card, I have opened up a bank account. In case you want to receive a membership please wire the money, and send me an email with your requested Username. (note as it usually takes 2 working days for the money to be credited to the bank account I will send you your login data 2-4 days later). Once the money is credited to my account, I will send you an email with your login data ( 2-4 days later). You can also put your requested Username and your email into the reference text (replace “@” with “AT” as @ is not allowed on the reference form), this makes it easier for me. (if you don’t receive an account within 5 working days, drop me a mail (my email is felix At openmtbmap.org). 20€ gets you 1 year, 35€ 2 years, 45€ 3 years, 55€ 4 years, 80€ 8 years, 100€ or more lifelong (as long as I run openmtbmap.org) Membership Access. new bank account data soon. Please don’t use the old account data anymore – due to neu EU Vat regulations as of 1.1.2015 (see more about it on #Vatmoss on Twitter for example). I am working hard on offering a new solution to pay/donate via bank transfer. seit längerer Zeit zeigt BaseCamp große Icons unter “My Collection” an. Das hat sich auch mit der Version 4.8.3 nicht geändert. Genau das ist es auch, hab es eben probiert. 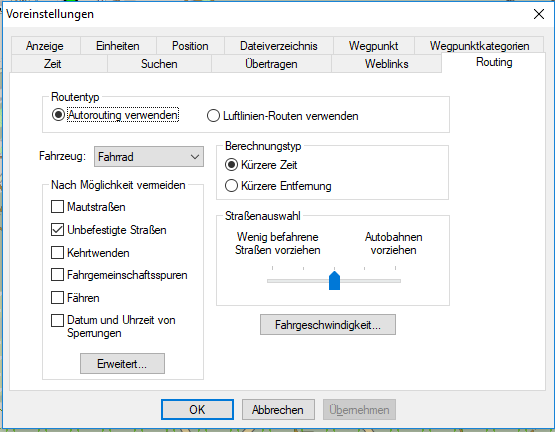 Beim Retina Display sind die Icons “normal” groß und am externen Monitor dann vergrößert da weniger hohe Auflösung. Die Höhenlinen von bbike sind von der Qualität viel viel schlechter als meine – deutlich ungenauere Datenquellen! Warum das mit Myanmar nichtgeht? Evtl überschneidet sich die “FID”. “Hi Jeroen – on which map? I have a current subscription to Velomap and I’m logged in. When I try to get to the Europe map download page, I get taken to a page telling me that “Your Account is active until: Access Expires: Nov 14th, 2019” and asking for more money, with no download link that I can see. Mit der Einstellung “Kürzere Entfernung” habe ich keine guten Erfahrungen, die führt in Orten oft auf merkwürdige Abkürzungen, die zwar vielleicht en paar Meter sparen, aber wegen häufigem Abbiegen viel Zeit und Kraft kosten. Mit der Einstellung “Unbefestigte Straßen vermeiden” routen alle Programme und Navis (Mapsource, Basecamp, Garmin 62 und Edge 1000) auch über mit Trk oder Pth gekennzeichnete Wege. Scheinbar werden die als befestigt angesehen, obwohl sie das in der Regel nicht sind. 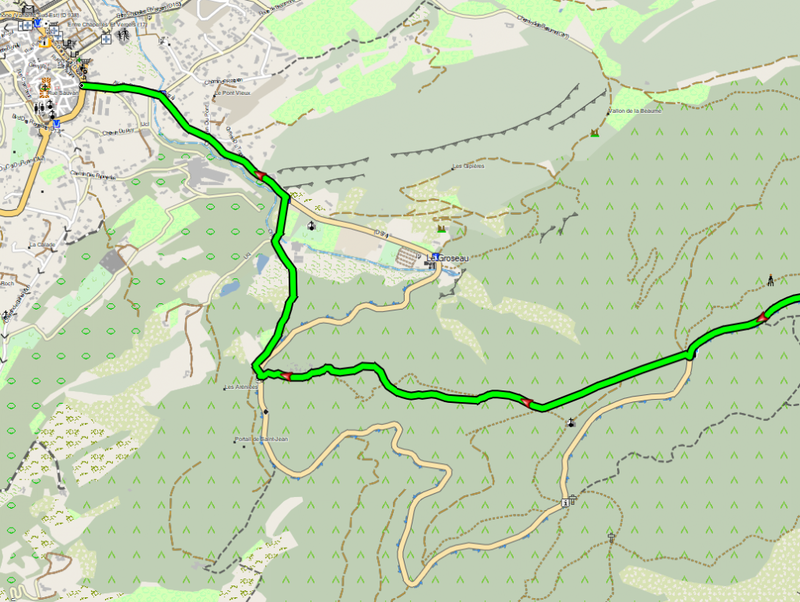 Zum Beispiel von Sault zum Mont Ventoux kürzt Mapsource kurz hinter dem Ort zweimal über Pths ab, die alles andere als befestigt sind. Wie kann ich sie zwingen, nur wirklich befestigte Wege zu nutzen (mindestens G1 Trk)? If you donate you may post questions and comments and get access to premium content. Do NOT Update to Basecamp v 4.7.0!